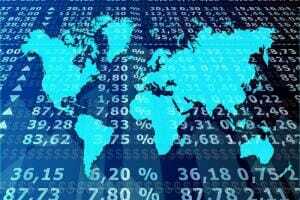 “Risk off” returned with a vengeance to financial markets over the last week with most share market falling and bond yields declining as last month’s worries returned, tech stocks came under renewed and the continuing plunge in the oil price weighed on energy shares. 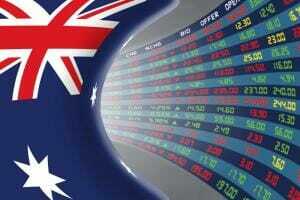 Australian shares have almost fallen back to their October low with financial shares under renewed pressure. Chinese shares were an exception and managed a gain. Copper and gold prices rose but the oil price continued its plunge and the iron ore price fell slightly. While the $US rose slightly the $A rose helped by strong Australian jobs data. It’s still too early to say we have seen the bottom in share markets. Put very simply there are three types of significant share market falls – corrections with falls around 10%, “gummy” bear markets with falls around 20% but where the market is up a year later (like in 1998, 2011 and 2015-16) and “grizzly” bear markets where a year after the initial 20% fall the market is down another 20% or so (like in 1973-74, the tech wreck or the GFC). 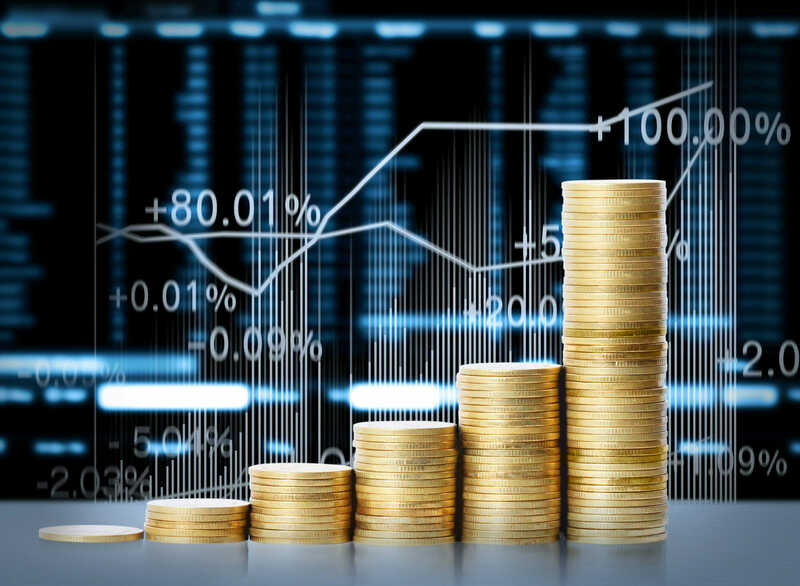 A grizzly bear market is unlikely because, short of some unforeseeable external shock, a US, global or Australian recession does not imminent as the excesses that normally proceed recession (overinvestment, inflation surging, tight monetary policy) are not present on a significant enough scale. 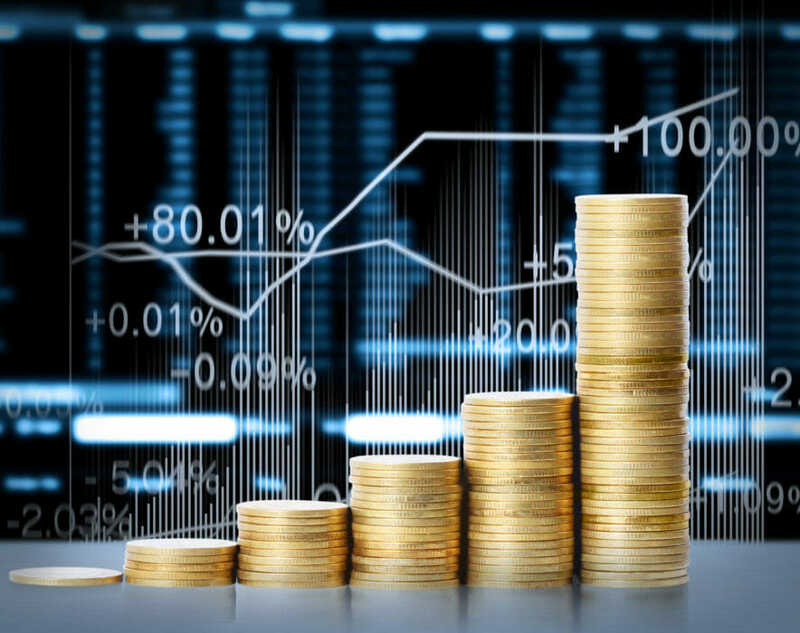 However, we have already had a correction in mainstream global shares and Australian shares (with circa 10% falls into the October lows) and it could still turn into gummy bear market, where markets have another 10% or so leg down – a lot of technical damage was done by the October fall that has left investors nervous, the rebound from late October was not particularly convincing and many of the drivers of the October fall are yet to be resolved. 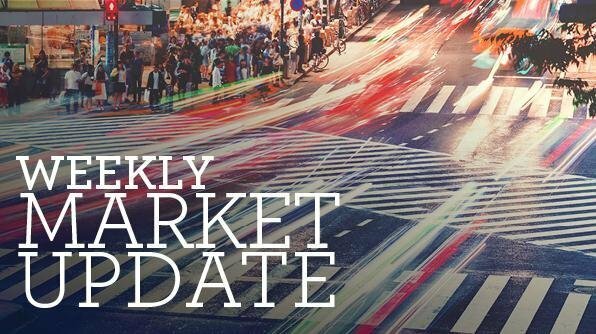 However, there were three positive developments over the last week which help add to our conviction that we are not going into a grizzly bear market. First, while Fed Chair Powell remains upbeat on the US economy and a December hike looks assured (for now), he is clearly aware of the risks to US growth from slowing global growth, declining fiscal stimulus next year, the lagged impact of 8 interest rate hikes and stock market volatility and appears open to slowing the pace of interest rate hikes or pausing next year. The stabilisation in core inflation around 2% seen lately may be supportive of this. Overall, he now seems a lot more balanced than in early October when referring to rates going to neutral and beyond. Second, there have been more positive signs on trade. Talks between the US and China on trade have reportedly resumed “at all levels”, US Treasury Secretary Mnuchin and Chinese Vice-Premier Liu have spoken by phone, the China Daily has reported that China and the US have agreed to promote a bilateral relationship, China has reportedly sent a trade document to the US and US Trade Rep Lighthizer has reportedly said the Jan 1 lift in the tariff rate on China to 25% was on hold. All of this is on top of the Trump/Xi phone call a few weeks ago. The US/China trade dispute is unlikely to be resolved quickly when Trump and Xi meet at the G20 summit at the end of the month but with Trump wanting to get re-elected I remain of the view that some sort of deal will be agreed before the tariffs cause too much damage to the US economy. And finally, for now at least the US has held off on tariffs on automobiles. Finally, while the 27% plunge in the oil price since its October high is a short-term negative for share markets via energy producers, ultimately it has the potential to extend the economic cycle as the 2014-16 plunge did (although its likely to be on a much smaller scale this time). Oil prices are short term historically oversold and due for a bounce but its increasingly looking like slower global demand than expected is a contributor to the price plunge – along with US waivers on Iranian sanctions allowing various countries to continue importing Iranian oil (which highlighted yet again that Trump doesn’t want to let anything damage US growth and weaken his re-election chances in 2020), rising US inventories, the rising $US, and the cutting of long oil positions. This means while oil prices are unlikely to fall for as long or as much as they did in 2014-16 when they fell 75% (see below) they may stay lower for longer. This is bad for energy companies but maybe not as bad for shale producers as in 2015 as they are now less geared and their break-even oil price has already been pushed down to $50/barrel or less. 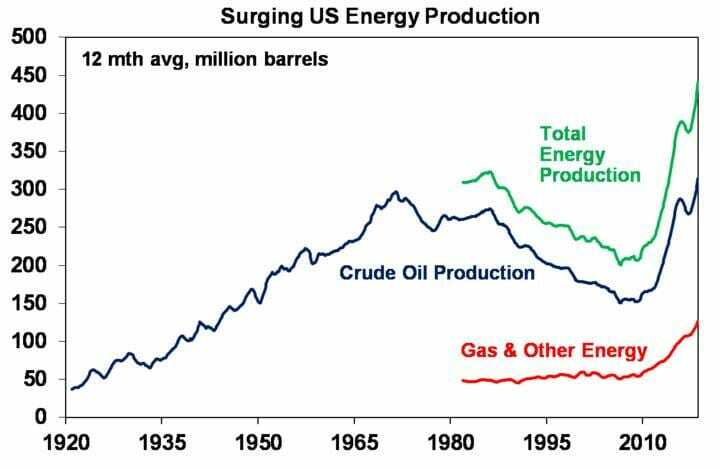 And it’s less of a threat to the US economy as energy investment is much smaller than it was in 2014. It will depress headline inflation (monthly US CPI inflation could be zero in November and December) and if it stays down long enough it could dampen core inflation. All of which may keep rates lower for longer. And its good news for motorists. 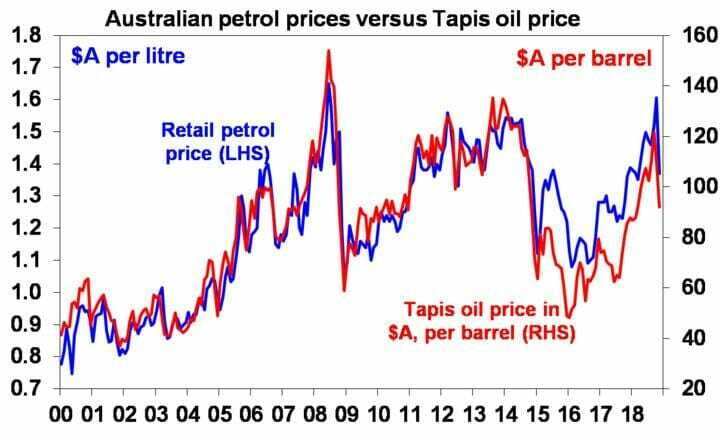 For example, Australian petrol prices have plunged from over $1.60 a litre a few weeks ago to now falling back to around $1.30 in some cities and prices could still fall further as the oil price fall flows through to the bowser with a lag. That’s a saving in the average weekly household petrol bill of around $10. 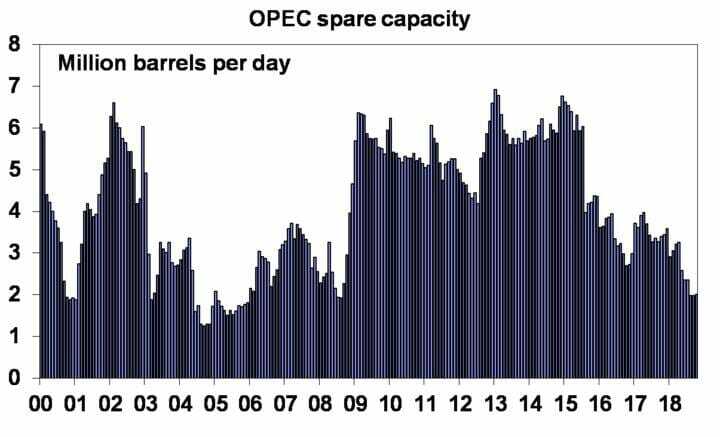 …but a re-run of the 2014-16 75% oil price plunge is unlikely as amongst other things OPEC spare capacity is much lower than it was then and they are already talking about cutting production whereas back in 2015 Saudi Arabia initially refused to cut production and OPEC was in disarray. At times like the present it is good to have some comic relief and the Brexit mess is certainly providing that (for everyone except the British that is!). Yes, the May Government and the EU have reached a draft agreement that would see the UK exit the EU but remain in the single market with all its rights and responsibilities until a formal relationship is agreed. But no sooner than May’s Cabinet agreed to support it, various ministers started to resign (including the Brexit minister who presumably played a key role in the deal) begging the questions of whether May will survive, whether the deal will pass parliament, whether there will be a new election and maybe even another Brexit referendum. Just as well I didn’t waste any time reading the 500-600 page draft agreement! The bottom line is that it’s still too early to get upbeat on the British pound. The Brexit debacle should also make various Eurosceptic parties across Europe realise that if it’s this hard to work out how to get out of the EU its going to be even harder to get out of the Eurozone. US economic data mostly remained favourable with solid growth in retail sales, strong small business optimism, mixed but okay regional manufacturing conditions, continuing labour market strength and slightly slower than expected core CPI inflation of 2.1% year on year in October. In fact, the October CPI reading is consistent with the Fed’s preferred core private consumption deflator measure of inflation falling back to around 1.9% year on year. This is all consistent with the Fed continuing to raise rates for now but at a “gradual” pace. Eurozone GDP growth for the September quarter was confirmed at a relatively weak 0.2% quarter on quarter or 1.7% year on year but with the German economy actually contracting by 0.2%. There is clearly an economic as well as a political incentive for the German grand coalition government to agree a fiscal stimulus. Japanese September GDP also contracted – by 0.3% quarter on quarter – but this looks to reflect payback after strong June quarter growth and the impact of natural disasters. Chinese data for October was a mixed bag with soft readings for retail sales, money supply and credit growth, flat unemployment at 4.9%, but somewhat stronger readings for industrial production and investment and continuing gains in home prices. The overall impression is that growth has slowed but remains somewhere around 6-6.5% year on year. Australian data over the last week provided another reminder that while the housing market is turning down it’s not all doom and gloom for the Australian economy. In fact, jobs growth remained very strong in October with full time jobs growth dominating and unemployment remaining down at 5%, wage growth perked up a bit further in the September quarter and consumer confidence rose. All of these things are positive but not enough to justify an imminent interest rate hike as underemployment remains very high at 8.3%, wages growth has only really picked up because of a faster increase in the minimum wage and abstracting from this is still stuck around 2% year on year, consumer confidence is likely to be dampened as house prices continue to fall and business confidence has actually been trending down lately and fell again in October. So allowing for these things our view remains that the RBA won’t start raising interest rates until 2020 at the earliest and given the housing related downturn there is a significant chance that the next move could turn out to be a rate cut – although this would be unlikely before second half next year as it will take a while to change the RBA’s relatively upbeat thinking on the economy and rates. In the US, the focus is likely to be on business conditions PMIs for November to be released Friday which are expected to remain solid at around 55. Meanwhile, expect the NAHB housing market conditions index for October (Monday) to remain strong, housing starts (Tuesday) to bounce back a bit after a fall in September and existing home sales (Wednesday) to do the same and underlying durable goods orders (also Wednesday) to show modest growth. Eurozone business conditions PMIs for November (Friday) will be watched for signs of improvement or at least stabilisation after a further fall last month. Japanese headline inflation for October (Tuesday) is likely to show a rise to 1.4% year on year thanks to higher oil prices last month, but core inflation is likely to remain low at around 0.4%yoy. The manufacturing conditions PMI for November will be released Friday. In Australia, a speech by RBA Governor Lowe on Tuesday will be watched for clues on the outlook for interest rates. Meanwhile, the minutes from the RBA’s last board meeting (also out Tuesday) are likely show that it remains relatively upbeat and still sees the next move in rates as most likely to be up but that it remains in no hurry to move at present. 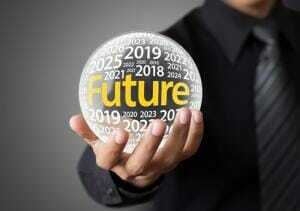 Skilled vacancy data will also be released Wednesday. Low yields are likely to drive low returns from bonds, with Australian bondsoutperforming global bonds as the RBA holds and the Fed continues to hike. 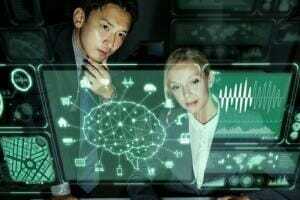 Original Source: Produced by AMP Capital Ltd and published on 16 November 2018. Original article.